So you can imagine my surprise and satisfaction when I was able to persuade her to come to the Open with me. As she walked the course with the golfers, followed the trajectory of 300 yard drives and watched what appeared to be 'gimme' 4 foot putts curve inexorably away from the hole, I could see her appreciation for the intricacies and the challenges facing the golfers grow, along with her excitement for the game. By the end of the day, she was right there with me, cheering for the victories, agonizing over the defeats, and feeling spellbound by the physical and mental feats she was witness to. Appreciation is the key. It’s a unique understanding as to exactly how hard it is to be a pro. That is why I enjoy golf so much. 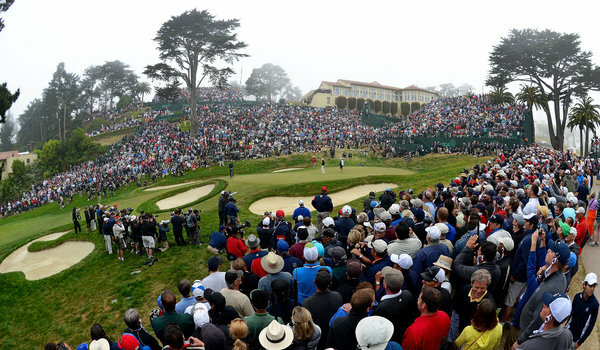 It is one of the only professional sports where a casual fan can be on the same footing as the best in the world, you versus the course, one stroke at a time. The only game where a weekend warrior can play the same courses as Tiger, and Jack and Arnold before him. While watching other sports, I often hear fans exclaim, "How did he miss that layup, I could have made that!" or "He was wide open, even I could have caught that!" I rarely hear that kind of comment in golf. The course is the great equalizer. 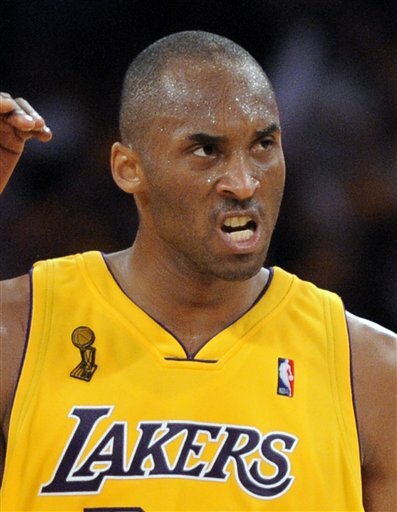 It's unlikely you will ever have to really guard Kobe (despite your friend’s best attempt at Kobe’s game face) or throw a pass with Ray Lewis coming at you, but you can certainly try to hack through the rough at St. Andrews or attempt putting with the ocean wind at your back at Pebble Beach, just like the athletes you see on TV. Everyone who has ever picked up a golf club has experienced the same joy and suffered the same frustration. Watching the best practice their craft is a privilege, whether it’s on the field, in the courtroom or in a recording studio. But truly understanding just how difficult it is to reach the highest level, the hard work, determination and persistence it takes to make it to the top, is a unique learning experience. The peek into greatness can be enough to inspire one to try something new, and hopefully serve as motivation to succeed. The only question is how bad do you want it? It is easy to casually remark how something can’t be that difficult, but are you willing to try? I recommend it, because as it is for golf and I, appreciating how hard it is to be the best makes those magical moments that much sweeter.